Martha writes to Mr. Mrkle saying she was glad to have seen Mr. Markle at a luncheon and hopes that he may be able to provide a donation at this time to help the school. 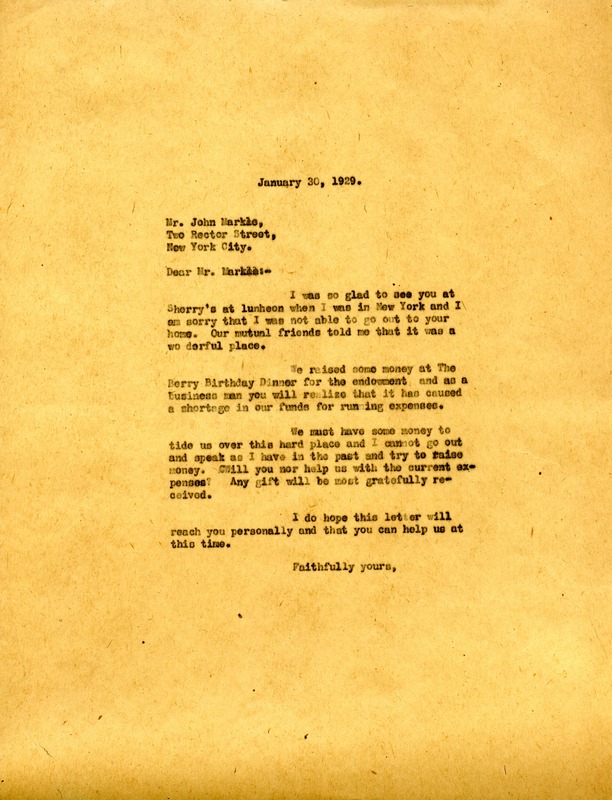 Miss Martha Berry, “Letter to John Markle from Martha Berry.” Martha Berry Digital Archive. Eds. Schlitz, Stephanie A., Aaron Jackson, et al. Mount Berry: Berry College, 2012. accessed April 25, 2019, https://mbda.berry.edu/items/show/10605.